Classroom learning in context—how does violence prevention education work on the ground? Health care workers face more violence on the job than any other public sector worker, including police and correctional officers. Despite a widely-implemented provincial violence prevention curriculum, injury rates over the past several years have remained stable and even risen in high-risk areas, including emergency rooms, mental health centres and residential care homes. To find out why, researchers are launching an evaluation of BC’s violence prevention education to better understand the challenges of applying classroom learning to the real world. 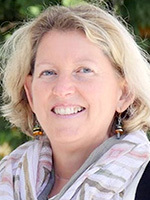 Sharon Provost, a PhD student and former health leader and nurse with Vancouver Coastal Health, is spearheading the WorkSafeBC-funded project with the Partnership for Work, Health and Safety at UBC. “Violence prevention education is the main intervention tool we arm our staff with, but it has been difficult to evaluate its effectiveness to see if it’s making a difference,” says Provost. As part of the project, she is conducting individual interviews with emergency room staff in three BC health authorities—Vancouver Coastal Health, Fraser Health and Island Health. Her team will also conduct focus groups with acute care leaders, Joint Occupational Health Committee members, and violence prevention educators. “We need to learn more about the context and conditions that influence how well employees can implement what they’ve learned,” says Provost. Provost, with supervisors Dr. Chris McLeod and Dr. Maura MacPhee, along with Dr. Michael Daniels, will conduct what’s called a ‘realist’ evaluation. Lesser known in Canada, the realist approach to evaluation is widely used in the UK for health and social policies and programs. The evaluation will look at what conditions or circumstances (such as the physical design of a space, organizational policies, team culture, and physical and mental state) that might impact how well an employee is able to apply the skills learned in a violence prevention class. For example, if an employee has time to assess and observe patients and feels supported by a team who “has their back”, they may be more able to remember the training, manage their own emotions and attempt the de-escalation strategies they were taught. 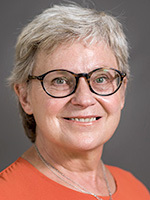 Dr. Maura MacPhee is a full professor and health systems researcher in the UBC School of Nursing who studies work environment factors that influence nurse and patient outcomes. Provost notes that workplace violence is chronically underreported—often only about 20 to 30 per cent of incidents come to light. “It’s hard to track if education is making a difference, just by looking at statistics. So we want to get a more meaningful picture.” Provost says her 32 years of experience as a nurse and health leader inspired her to undertake this research to help improve the workplace for health care workers. 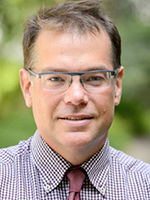 Dr. Chris McLeod is the co-director of the Partnership for Work, Health and Safety, a research scientist with the Centre for Clinical Epidemiology and Evaluation (C2E2), and an associate professor in the UBC School of Population and Public Health. 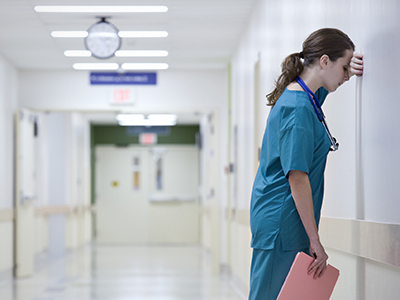 Workers who are traumatized by a violent incident may be less able to effectively deal with subsequent patient violence. Provost will visit a total of nine sites across the province and interview over 50 frontline ER workers. Feedback collected from interviews and focus groups will be reported this fall. Learn more about this violence prevention study.